Never misplace your kid's shoes again with these stylish and practical personalised shoe dot labels from CustomiseMe? 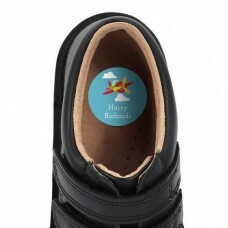 Our shoe labels are perfect for keeping all your kids shoes straight, and they are customisable! Get classy shoe dots that your kids will love and you will appreciate even more! Don't get stuck with dozens of shoes, order our shoe dot labels today!